Skizze op. 58/1 "Nicht schnell und sehr markiert"
In 2012, I was asked repeatedly by Stanislav Kupka from Mělčany whether I knew what kind of organ was at the local Hussite church. My answer was that it would not be of enough interest that anyone would know. How wrong I was! Although I grew up in Dobruška, until then I had never been in the choir loft of that local church. I took at face value what I had been told by Mr. Miroslav Drašner, the organist at the church of Saint Wenceslas and a graduate of the Brno conservatory, who had once told me that he would go there to play for funerals on some awful electronic keyboard. But he never mentioned that right behind his back there was a non­functional pipe organ. It was a real shock for me when, at the age of 25, I “discovered” the largest organ in Dobruška in the choir loft of Hussite church – it is, in fact, much larger than the organ in the catholic church. I am still mystified about why no one knew about the organ or cared that it was in a dilapidated state. The organ was not being played at all; there wasn’t even an organ bench. No one had taken care of it for sixty hears, so it was in poor condition. Then a big investigation began. The only mention of the instrument’s existence, which I found later, was in the publication Dobrušské varhany (Dobruška’s Organs) by Mr. Jiří Fuks. But everyone including Dr. Fuks wrongly assumed that the instrument was the work of the organ builder Kloss, whose name appears on a badge on the console. It was not until after further, thorough research and comparison of photographs that it became apparent that the organ had been built by the german firm Schuster and that the instrument had been brought there from the Sudetenland. This discovery was made by the organ builder Ivan Bok, and I am grateful to him for it. 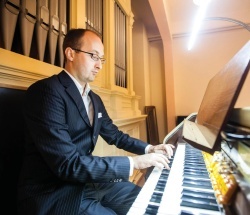 The only person known by me to have witnessed the organ being used after it was moved to Dobruška is the outstanding pianist and accompanist Prof. Jaroslav Šaroun, who spent several years of his childhood in Dobruška. For the next two years, I was thinking continuously about how to raise the consi derable funds required for repairs – the religious congregation did not have that kind of money, and everyone was talking and writing about an economic crisis – the good times were supposedly behind us. Then suddenly the 600th anniversary of the burning of Jan Hus at the stake (1415—2015) was approaching. Several of my colleagues and I announced our ambition to have the instrument in playable condition by 2015. Probably none of us were very convinced that it could be done, but it turned out success fully. Fortunately, there are quite a few capable, eager, and wise people living in Dobruška, and I will forever be indebted to them. They put a great deal of energy into the idea of preserving the instrument, and quite a few of them invested a great deal of their free time by supporting the project in various ways. I never could have done it all by myself. And the feeling that I wasn’t going about it alone and that more people had made the project their own was priceless, as was the moment when the job was done, and we could rest assured that we would not allow the legacy of our ancestors to be destroyed. Thank you! I hope these lines may serve as an inspiration or a guide to our successors who wish to preserve organs in other parts of this country. The original plan for an impressive publication with an inserted cD has been scaled down to a cD with an inserted brochure. even so, I hope you are just as fascinated with the fate of the Schuster organ as we are, and that you will enjoy the first cD with a recording of the sound of this instrument. The selection of repertoire was based on the sonic possibilities and range of the organ, as well as on its stylistic character. 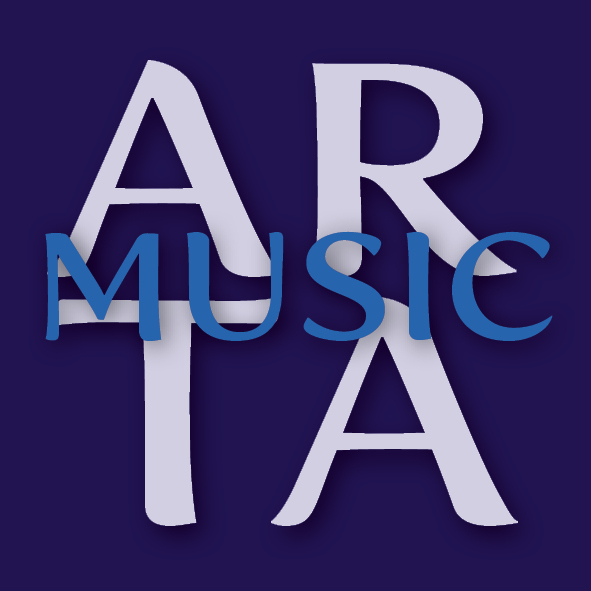 Music from the period of german romanticism is the foundation, and there are overlaps into the classical era and contemporary music. Unlike the first cD Historické varhany v Dobrušce 1727 (Historical Organ in Dobruška 1727), which contained Baroque music played on the Baroque instrument at the church of St Wenceslas, the this recording allows us to listen to organ works in several different styles. This two­manual organ with pedals was built by the renowned german firm A. Schuster & Sohn in 1904. It had originally been installed in the Sudetenland, specifically at the Protestant church in rudník u Vrchlabí. After the Second World War, with the expulsion of the german population from the Sudetenland, life in the region lost something of its historical continuity, resulting in the neglecting of the landmarks there, which quickly deteriorated. That was the fate of the church in rudník (today, only its perimeter walls are left standing), and the organ’s existence was also threatened. Thanks to the initiative of the pastor Mr. Hodek, the organ was saved by moving it to the choir loft of the Hussite church in Dobruška in 1954. Thereafter, the instrument was again unused and fell into disrepair. When the instrument was moved to Dobruška, the height of the organ case was altered, and there were probably also changes to the layout of the parts inside the organ. The instrument was partially rebuilt by Josef Kloss’s firm from Krnov (which would later become the well­known company Rieger-­Kloss), which supplied a new console with pneumatic tracker action. Later, the instrument again deteriorated and went unused. The organ underwent general repairs in 2015, and a swell box was added. The work was done by the firm robert Ponča Varhany. The organ works of Carl Philipp Emanuel Bach (1714—1788) have been appearing frequently on concert programmes in recent times. Quite naturally, they have been evaluated and compared with the legacy of Johann Sebastian Bach, but the two Bachs differ stylistically. Although Carl Philipp Emanuel Bach received thorough training in counterpoint from his father, we already find elements of incipient classicism. The Fantasia and Fugue in C minor Wq 119 is an example of contrapuntal work. The shorter Fantasia, which is based on the alternation of chordal and virtuosic passages, leads to a strict fugue. After a diatonic opening, the theme is interrupted by an unvocal skip of a seventh and is then enhanced by a chromatic sequence. As the piece continues, diatonic and chromatic sections alternate, and the fugue flows along in this spirit to the very end. The three­movement Sonata in A minor Wq 70/4 is purely homophonic, unlike the polyphonic writing of the previous piece. It is likewise written for organ without pedals, and it calls for the use of two manuals. There are very frequent sonic contrasts between piano and forte. The lighter outer movements demand precise manual technique, while the slow movement with its many melodic ornaments requires a vocal approach. Robert Schumann (1810—1856) originally composed his Sketches op. 58 for pedal piano. That instrument was an attempt at the coupling of the possibilities of melodic pedal playing with the piano. A set of pedals playing separate stings was added to the piano. The pedal piano was played in the same manner as the organ, and its advantage was the possibility of the dynamic differentiation of touch, which is not possible for organ. Today, the instrument is viewed as something of a period curiosity, and the works composed for it are now played on piano or organ. The first Sketch is in c minor, and its basic feature is a characteristically syncopated rhythm that appears throughout the piece. Max Reger (1873—1916) composed a vast body of organ literature that constitutes a legacy in the field that cannot be overlooked. Stylistically, he follows in the footsteps of J. S. Bach, but using late romantic harmony. He is famous for such monumental works as the Fantasia and Fugue on BACH, op. 46 and his extensive chorale fantasias. reger also composed smaller works, but these are still very difficult to perform. Among them are the Six Trios, op. 47. While the distinctive rhythm of the Siciliano evokes the slow movement of a Baroque suite or sonata, the Gigue is characterized inventive imitative entrances of an agile theme. contemporary music is represented on this recording by the music of Luboš Sluka (*1928). Although there is no direct connection between Sluka and the organ at the Hussite church in Dobruška, nearly the entire life of this native of Opočno is bound to the foothills of the Orlické Mountains. Vigilie (Vigils) is so far his final work for organ solo. The pensive opening theme permeates the entire composition, and it alternates with contrasting sections, which are often very dramatic. The climax of the entire work is a grandiose restatement of the opening theme. The works of Franz Liszt (1811—1886) often took inspiration from the music of his contemporaries, as well as from his respected predecessors. Th e Einleitung und Fuge based on J. S. Bach’s cantata “Ich hatte viel Bekümmernis” and the variations on Bach’s Weinen, Klagen, Sorgen, Zagen are clear examples of this. Th e former involves a transcription of the concluding section of Bach’s cantata BWV 21, with an uplifting introduction that leads to a joyous, energetic fugue. Th e latter is an organ version of a set of variations on a theme from Bach’s cantata with the same title (BWV 12). Th e main theme is a chromatic descent of semitones expressing suff ering. Bach himself used this chorus later in a transposed and arranged version in the Cruciﬁ xus of his famous Mass in B minor. Liszt evolves Bach’s theme into a virtuosic form, and he concludes the extensive variations with a quote of the chorale Was Gott tut, das ist wohl getan. 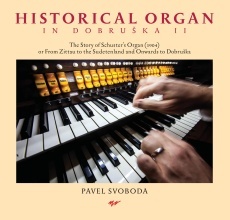 Pavel Svoboda (*1987) began his musical studies at the elementary School of the Arts in Dobruška (Daniela Štěpánová – accordion, Radka Zdvihalová – piano), then he stu died organ at the Pardubice conservatory in the studios of Josef Rafaja and Václav Rabas. He graduated from the Academy of Performing Arts in Prague under Prof. Jaroslav Tůma, he has taken part at numerous performance classes under important organists, and he made a year­long study visit to the Universität der Künste in Berlin with the Dutch organist Leo van Doeselaar. After his master’s studies, he entered the doctoral programme at the Academy of Performing Arts in Prague. He has won prizes at several international competitions. In 2013 he became a laureate of the Prague Spring competition, and in 2016 he won 2nd prize and the title Bachpreisträger at a prestigious international competition in Leipzig. 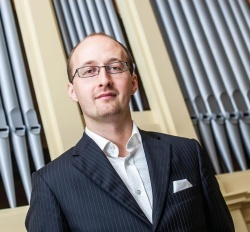 He is the dramaturge for the International Music Festival of F. L. Věk and the chairman of PrOVArHANy, an association that focuses on the preservation of historic organs.